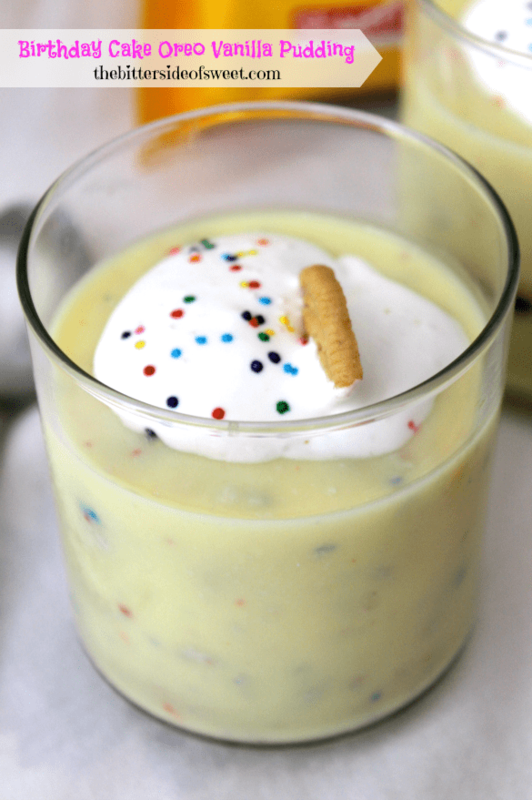 To end the celebration of birthday week I wanted to bring to you this Birthday Cake Oreo Vanilla Pudding! Let me tell you! You are going to be excited about this one!! So this is about as easy as it gets when you are talking about desserts. 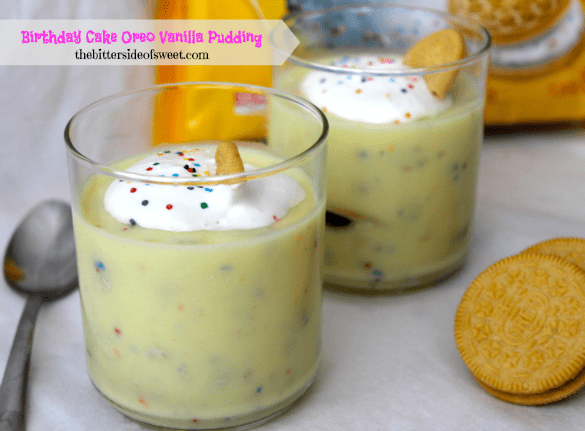 I was talking it over with my kids and I was telling them I wanted to make something with the Birthday Cake Oreos that we had bought and not just eat them all! My son came up with idea of adding them to pudding. We talked about it and knew we didn’t just want to crush them up and stir them in. So then we decided to scrap the insides of the Oreos out and stir it directly into the pudding. Oh yeah!! So then what we did was pour the pudding into small cups. Threw 5 of the cookies into it and let it set for 10 minutes. Add some cool whip and sprinkles and there you go. Like I said it can’t get any easier than that!!! 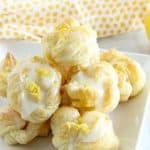 What is also great is that this is a no bake dessert! 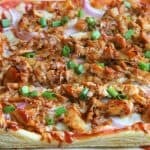 No need to use the oven! Woohoo! Especially on days when it is 81 degrees at 9:40 in the morning and the temperature was reaching 95 degrees and your air condition went out and it would not be repaired till the following day. I’m just saying. No bake was definitely needed!! Prepare 4- 1 cup serving dishes. In a small bowl separate the cream from the Oreos by scraping the cream into the bowl. Set aside the cookies (there will be 30 single cookies left). In a large bowl add the pudding and milk. Whisk together till there are no more lumps. Combine the cream to the pudding mix and whisk till smooth. Push 5 single Oreo cookies into each dish. Rest in refrigerator for 10 minutes. Cool whip and sprinkles are optional! Need more No Bake Desserts! Visit these lovely ladies! They won’t disappoint! Thanks Lori! I was so glad about how this turned out too!! We couldn’t stop eating it! This was actually the first time I had tried them!! So glad I did!! Thanks Jocelyn! We loved it! sally @ sallys baking addiction recently posted…Skinny Cookies & Cream Milkshakes. Thanks Sally! They are so good! Yep we had fun for sure! Sprinkles make me happy! 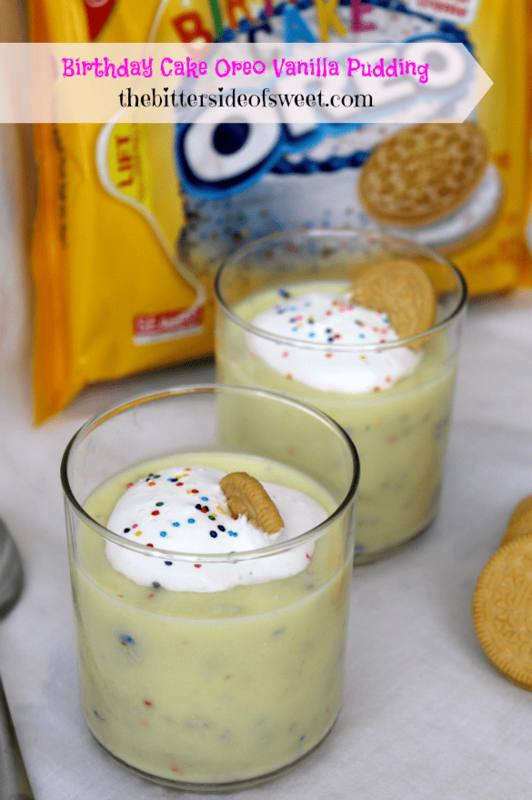 I’m going to try this with chocolate pudding and the Chocolate Birthday Cake Oreos. Oh, yes, and the sprinkles, too! Thanks for posting. Oh I bet that would be so good! Thanks Toni! My sister is crazy about anything birthday cake flavored. I can’t wait to make this for her. Thank you for sharing this with the Less Laundry, More Linking party. 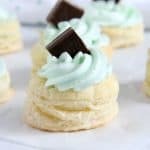 This was one of the easiest best tasting desserts I’ve made! Birthday cake flavored ‘anything’ is a hit with the kids. 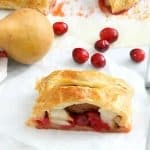 Would be perfect for a spur of the moment treat! Yes it would be great for such a moment! Thanks Rachel!